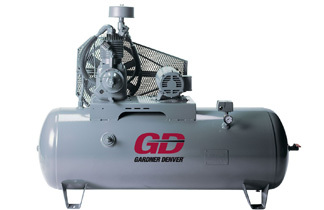 The Gardner Denver line of specially-designed climate control compressors represents years of intensive industrial research and testing. We’ve listened to the needs of the end user, and have seen the shortcomings of our competitors. The result is a line of machines suitable to critical industry demands for value and lasting performance. Features include low operating RPM for longer component life, lower operating temperatures, greater energy efficiency, inlet filter silencers and side-sealer piston rings (on selected models) for lower oil carry over.